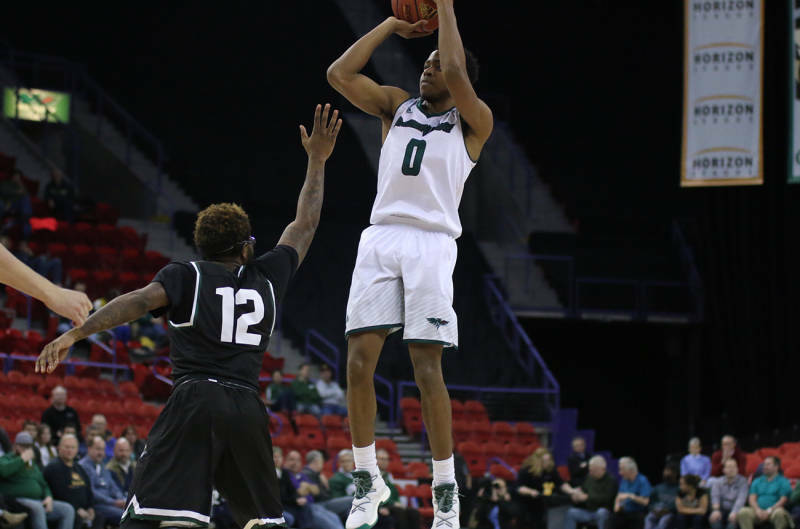 The Green Bay Phoenix ran into some hot second half shooting on Wednesday night, falling to UMKC 92-82 in the First Round of the CBI in Kansas City. The Phoenix saw their season come to an end at 18-14. The Kangaroos (18-16) made their last seven field goals in the game and scored 52 second-half points, including 7-for-11 from three-point range in the second half. LaVell Boyd scored 28 points and Kyle Steward added 20 for UMKC. Kerem Kanter scored a team-high 20 points and grabbed six rebounds, hitting eight of his nine field goal attempts. Green Bay shot 47-percent from the field but went just 4-for-21 from three-point range. The Horizon League Tournament has seen a number of upsets early, with the top two seeds (Oakland & Valparaiso) being knocked out of the tournament. That meant the third-seeded Green Bay Phoenix became the favorite, only to fall victim to the upset themselves. The Phoenix lost to 6th-seeded UIC 79-70 at Joe Louis Arena, sending the Flames into the semifinals against 10th seeded Milwaukee. The Green Bay Phoenix scored 56 points in the second half on Tuesday night, knocking off UIC 87-79 to move into sole possession of third place in the Horizon League. The Phoenix (17-11, 11-5 HL) used a 15-0 run late in the second half to put the Flames (14-15, 7-9 HL) away. The win sets up a key matchup on Friday night against Oakland as both teams battle for the two-seed in the upcoming Horizon League Tournament.